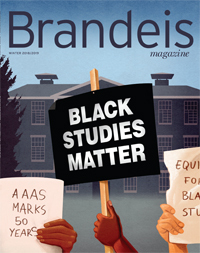 In the last issue of Brandeis Magazine, we announced our plan to enhance outreach to international alumni and groups connected to Brandeis through common interests, as well as by graduation year. As the university expands its global presence, the Alumni Association seeks to become a full-scale international community. I am thrilled that we have already made great strides in this endeavor and are beginning to reap the rewards. Over the past few months, President Fred Lawrence and Kathy Lawrence visited alumni in England, Israel and India, strengthening relationships and devising ways for those living abroad to build mutually beneficial partnerships with the university. In addition, receptions were held in Toronto, where fundraising for the Brandeis-Canada Endowed Scholarship Fund kicked off, and in Beijing, where alumni were treated to a lecture on entrepreneurship. The enthusiasm these gatherings generated confirmed that international alumni are indeed eager to stay connected to Brandeis. The same proved true for affinity groups such as the Lesbian, Gay, Bisexual and Transgender group; the Lawyers and Finance networks; and Bold (Brandeisians of the Last Decade). Thanks to alumni volunteers and regional club presidents, several events created for these groups attracted large numbers of alumni looking to socialize, network, attend an academic program or simply stay in touch. In March, the Alumni Association Board of Directors met at Brandeis House in New York to plan new ways to engage even greater numbers of alumni. Our new website (http://alumni.brandeis.edu) will make it easier than ever to find events, register for programs, explore alumni benefits and services, and stay in touch with one another and with Brandeis. Alumni are crucial to Brandeis’ long-term success, and the Alumni Association is committed to representing all graduates’ needs and interests as we help the university grow. We could not do what we do without the dedication of alumni volunteers, whose lifelong bond with Brandeis inspires us every day. Four such volunteers will be leaving the board June 30. I want to extend heartfelt thanks to Trustee Lisa Kranc ’75, vice president for marketing, and members-at-large Liane Kupferberg Carter ’76, Jonathan Keller ’83 and Melissa Bank Stepno ’99 for their tireless efforts. We are grateful for all that they, and all our alumni, do for Brandeis. To better engage and support alumni throughout their professional lives, the Hiatt Career Center is enhancing programs for Brandeis graduates. Alexandra Anweiler Stephens — recently promoted to the newly created position of associate director of alumni career programs and engagement — is responsible for developing initiatives and organizing events for grads. This winter, Stephens arranged career events, including industry-specific panel discussions and networking receptions, in New York and Washington, D.C. She is also working with leaders of the Alumni Club of Chicago to develop a professional network there. Together with colleagues at the Hiatt Career Center, Stephens plans to expand the already popular online webinars, which cover such topics as midlife career changes, interviewing, networking, résumé writing and creating a personal “online brand” to help land a job. One-on-one career counseling is also available to alumni. Lisa Blacher recently joined the Hiatt Career Center as a dedicated alumni career counselor and is available for appointments in person, on the phone or via Skype. For more information, visit the Hiatt website at www.brandeis.edu/hiatt, or call 781-736-3618. Calling all 3s and 8s! Alumni whose graduating class year ends in a 3 or an 8 are invited back to campus June 7-9 to celebrate their Reunion with family and friends. The celebration kicks off with Friday night’s all-class Fire and ’Deis Welcome Back Party, featuring a tapas-style dinner and dancing to live music under a tent on the Great Lawn. Saturday’s lineup includes a conversation with President Fred Lawrence, the presentation of the 2013 Alumni Achievement Awards, the Ralph Norman Barbecue, class photos, an ice cream social at the Castle, admissions tours and class dinners. A jazz brunch wraps up the festivities on Sunday morning. In addition, Reunion committees for each class have been working since the fall to plan class-specific programs, including faculty presentations and talks, tours of the Rose Art Museum, family-friendly activities, a kickball game and more. 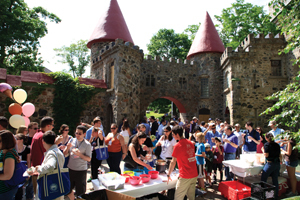 The weekend also includes Alumni College (http://alumni.brandeis.edu/alumnicollege), the annual back-to-the-classroom experience that will be held on Friday. Check your mail for Reunion information, or visit the Reunion website (http://alumni.brandeis.edu/web/reunions/2013) to register, view planning-to-attend lists and make your Reunion gift. 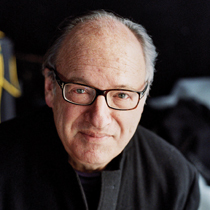 President Fred Lawrence will present the Alumni Achievement Award to University of Chicago President Robert Zimmer ’68, renowned manager and record producer Jon Landau ’68, and pioneering mathematics professor Bonnie Berger ’83 at a ceremony on June 8 during Reunion. The Alumni Achievement Award recognizes alumni who have made distinguished contributions to their profession or chosen field of endeavor. It represents the highest form of university recognition bestowed exclusively on alumni. Robert J. Zimmer ’68 has served as president of the University of Chicago since 2006, helping to institute major initiatives, including increasing financial aid for students, hiring additional faculty, launching several multidisciplinary research institutions, establishing new arts programs and facilities, and expanding the university’s global profile. A mathematician who specializes in geometry, he joined the school’s faculty in 1977 and has served as math department chair and deputy provost. 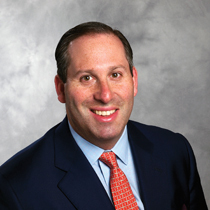 Zimmer is a member of the National Science Board and a fellow of the American Academy of Arts and Sciences. Jon Landau ’68 began his career in the world of pop music while a student at Brandeis, as a critic for The Justice. After graduation, he continued working as a journalist, until he caught a performance in 1974 that led him to write, “I saw rock and roll future, and its name is Bruce Springsteen.” He spent the next 40 years working with Springsteen, first as a record producer and then as his manager. He has also collaborated with many other artists, including the MC5, Livingston Taylor, Jackson Browne, Natalie Merchant, Shania Twain, Train and Alejandro Escovedo. Landau is an executive vice president of the Rock and Roll Hall of Fame, where he chairs the nominations committee. 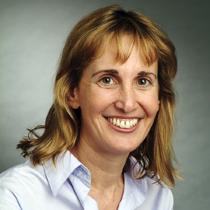 Bonnie Berger ’83 serves as professor of applied mathematics at the Massachusetts Institute of Technology. 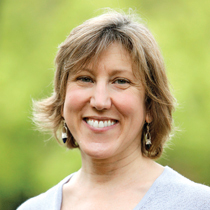 In 1999, she became the first woman to earn tenure in the school’s math department. Her research focuses on applying mathematical techniques to solve problems in molecular biology. 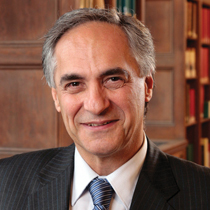 Berger has co-authored more than 100 scholarly research articles. Her numerous honors include membership in the American Academy of Arts and Sciences.